Fredrique Paijkull was a pioneer of the early Swedish folkhögskola (institutions for adult education). Fredrique Paijkull was born in 1836 in Stockholm. She was the daughter of Lieutenant Carl Eric Broström, horsebreaker to the Crown Prince, and Fredrica Christina Schensson. Fredrique Paijkull had three sisters and one brother. She was the second youngest of her siblings. She attended the Wallin school and was subsequently homeschooled, as was the norm for the upper-middle class at that time. Once she had completed her education she took up a position as a teacher for Major Lilliehöök’s family at Värmlandsnäs. She remained a close friend of the family for many years afterwards. In 1862 she married Carl Vilhelm Paijkull, a man who moved in liberal circles and who was a keen promoter of the concept behind the folkhögskola. He was also a member of Nordiska nationalföreningen (the Nordic national association), which in the summer of 1868 implemented a “Plan för bondefolkhögskolan” (plan for a further education school for the peasant class). In 1867 the Paijkull family settled at Samuelsberg farm in Motala, as Carl Vilhelm Paijkull had become the folkhögskola inspector for Västra Östergötland. In the spring of 1869 he had accepted the post of principal of Östergötland folkhögskola in Herrestad. The school, established in November 1868, was one of the first in the country, and Carl Vilhelm Paijkull was only its second principal, having succeeded O. V. Åhlund. The Paijkulls had planned that Fredrique Paijkull would take charge of a folkhögskola for women alongside the already existing one for men in Herrestad. However, nothing came of their plans as Carl Vilhelm Paijkull died in Motala in June 1869. His death led to severe financial difficulties for his surviving family. His estate was declared bankrupt and in order to avoid liability for the debts Fredrique Paijkull voluntarily registered herself as bankrupt, which left her unable to inherit anything. She was in dire financial straits. Fredrique Paijkull immediately set to establishing a folkhögskola for women. She had three young children to provide for and a large residence to maintain. She approached relevant individuals and authorities regarding an income and setting up her own school, “a further education school for women”. She knew exactly who was supportive of the folkhögskola concept and where the networks were. One such individual was Jonas Andersson “Häckenäsarn”, who was a significant and influential Liberal at that time. He had helped set up the folkhögskola in Herrestad along with Åhnlund. He was a father of seven daughters, all of whom had been educated and entered professions instead of marrying. Fredrique Paijkull spent the autumn of 1869 advertising in the local newspaper, Motala Tidning, and in the regional paper, Östgöta Correspondenten. Her intention was clear: women on the countryside should be provided with the same educational opportunities as the men, and she further believed that it was a prerequisite to shape the modern man. She entirely adopted the Nordiska nationalförening’s “Planen för bondehögskolorna” (except from training with weapons, which she replaced with aspects of housework and handicrafts). The first classes organised by the school were organised for the four summer months, from mid-May to September. In order to become enrolled at the folkhögskola an individual was required to have completed basic schooling. The school opened in the summer of 1870 and was held at Samuelsberg farm for three summers. The number of attendees never reached the expected 30: in 1870 there were only 13 students; 18 in 1871; 8 in 1872. Fredrique Paijkull unsuccessfully sought funds from the county council in 1870 and 1872. She was commended for her initiative in establishing the folkhögskola but her 1870 request for funds was rejected on the grounds that the school lacked a steering board to guarantee that the finances were being appropriately managed. Although such a steering board had been put in place before the second application for funds was made to the county council in 1872, it was still rejected. Without official support to run the school Fredrique Paijkull was unable to continue. She simply did not have enough students. There were several new schools in Motala and in Vadstena, and in the surrounding towns. It was around this time that the grammar schools were awarded “dimissionsrätt” (the right to hold exams) for girls. Fredrique Paijkull described Motala as a town where one “expected education for free”. In the autumn of 1873 Fredrique Paijkull applied for the post of principal at the Helsingborg folkhögskola for women in northwest Scania. This was a more established school. It had a steering board, it had support from the county council and additional financial support. The chair of the board at this point was the editor Theodor Borg, although after 1876 he was succeeded by Ola Jönsson of Kungshult. The latter was an influential member of the Liberals in Scania. Approximately 25 students enrolled every year. Initially the school was located beside Helsan, a green area of Helsingborg where drinking water was obtained from local wells. In 1876 the school moved to an agricultural plot at Tågaborg, which was rented from Count De la Gardie. Fredrique Paijkull did not have a completely trouble-free time at the folkhögskola for women in Helsingborg. At one point there was an investigation into fraud concerning governmental contributions. She ceased working at the school after the spring of 1879. Fredrique Paijkull moved back to Stockholm around 1880 taking her two sons, Karl Lincoln and Gunnar Vilhelm, with her. Her daughter Olga had died in Helsingborg. In Stockholm she worked on translating novels from English and German into Swedish. In 1898 she lost her eldest son, who was an apprentice at the Serafim hospital, to poisoning. Fredrique Paijkull died in September 1899 in Stockholm. 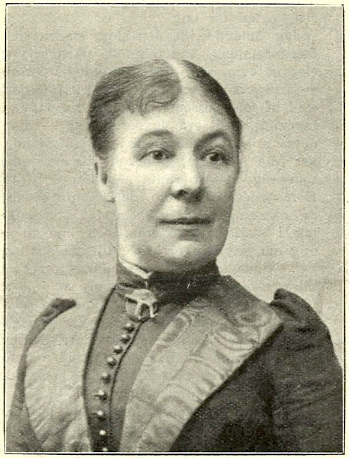 Fredrika Augusta (Fredrique) Paijkull, www.skbl.se/sv/artikel/FredriquePaijkull, Svenskt kvinnobiografiskt lexikon (article by Anna Eklundh Jonsson), retrieved 2019-04-26.